Hello everyone! 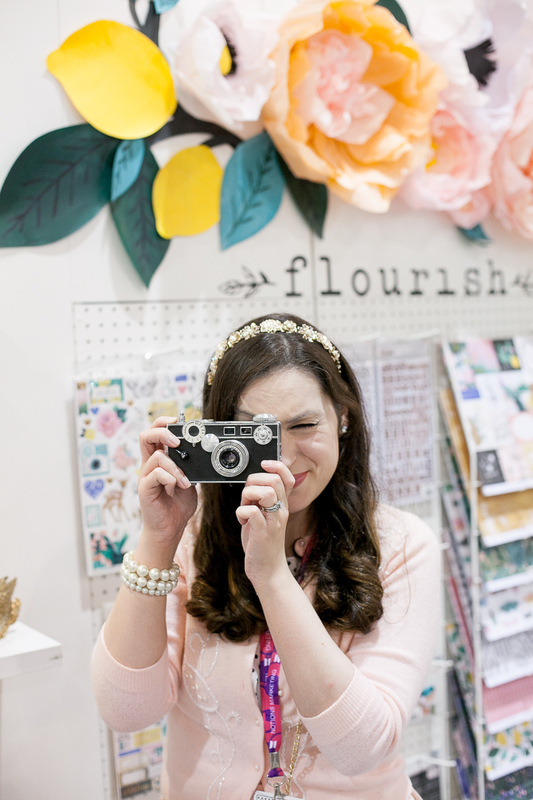 It is Andrea here, and I have something really exciting to share with you today! So, last weekend, as some of you may know, the Craft and Hobby Association had their annual show – now known as "Creativation." 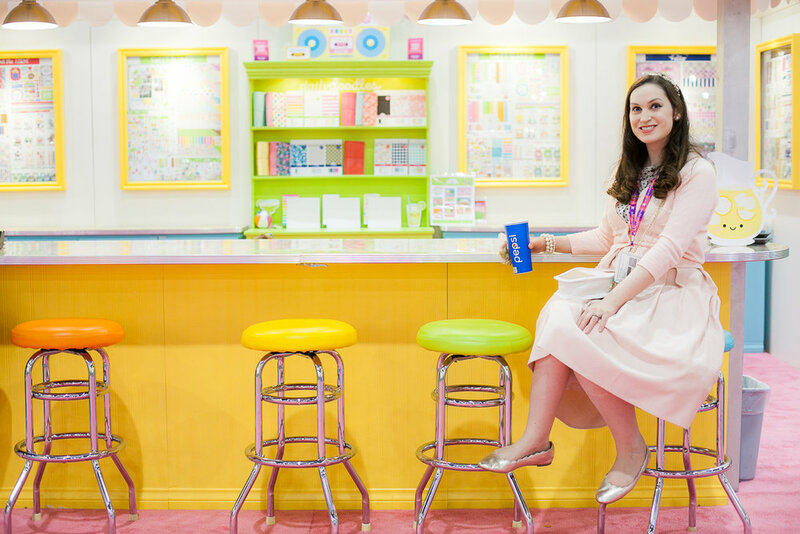 I have been wishing to go to the CHA show for about ten years or so now...since back when the show itself was just known as "CHA." 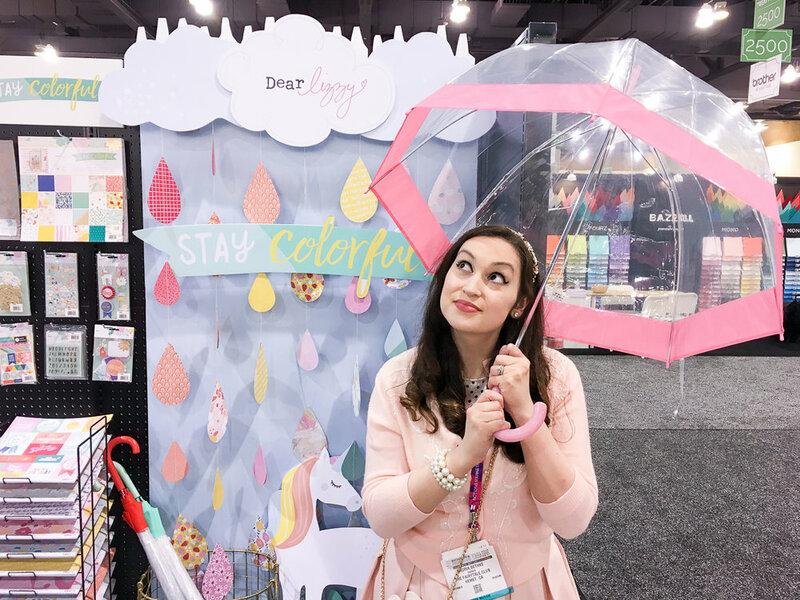 There were two shows each year, marking the two major release seasons of new product in the papercrafting industry...and they took place in winter and summer, one here in Southern California in January and the other out of state, Illinois I believe, in July. 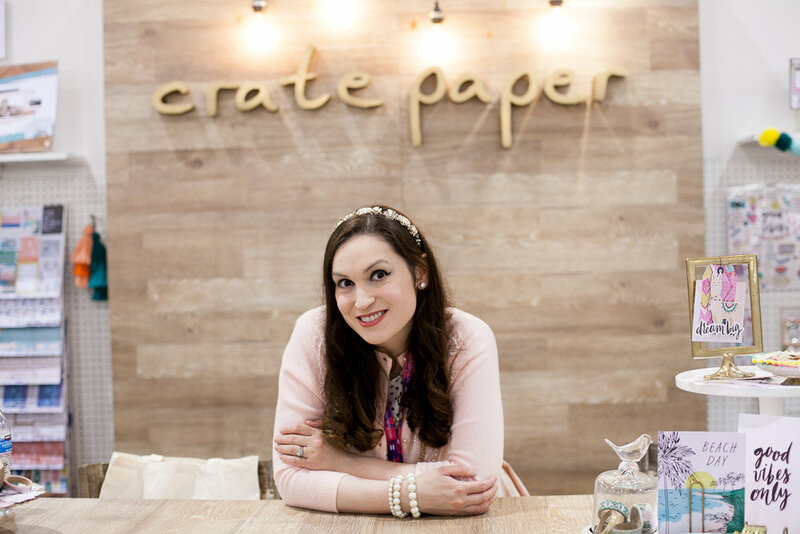 Well, once upon a time, when I was still pretty new to scrapbooking, I remember hearing about the show and thinking that I wanted to go to this amazing thing that seemed to me to be like a magical papercrafting wonderland! The Anaheim convention center was so close to me...this wonderland a quick hour away...why would I not go?! However, I found out that you needed to be part of the industry and a member of the association to get into the show or else pay a pretty steep price. Still, I made a deal with myself that one day I would go. But it seemed that each year, I was out of luck because I was always, always having some sort of issue, usually with my health, whenever the show came around that prevented me from going, and it just seemed like it wasn't meant to be. Then they decided to only do one show a year, and to move it out of state. My heart sank when they did this. It seemed all the less likely that my dream of going would ever come true. 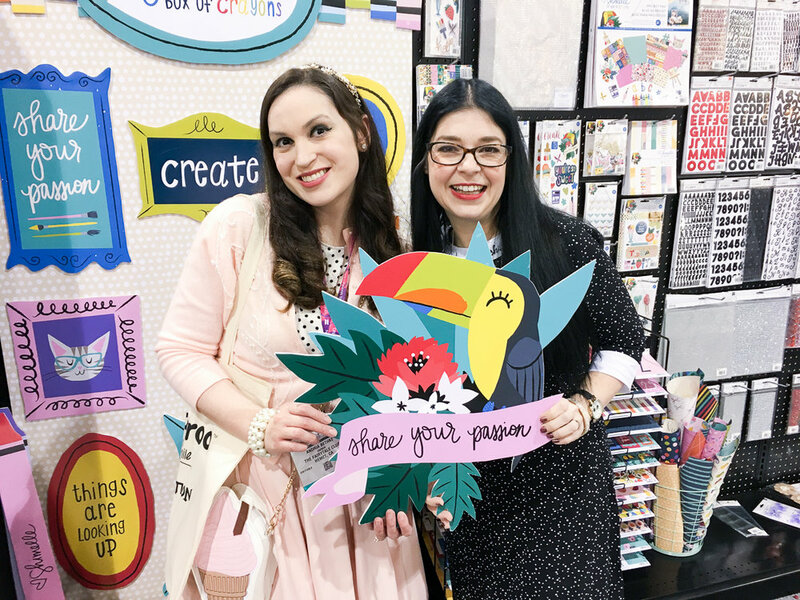 But last year, in the spring, I started my company "The Fairytale Club," for scrapbookers and planners and lovers of papercrafting...and I knew that I had to try to go to the show. 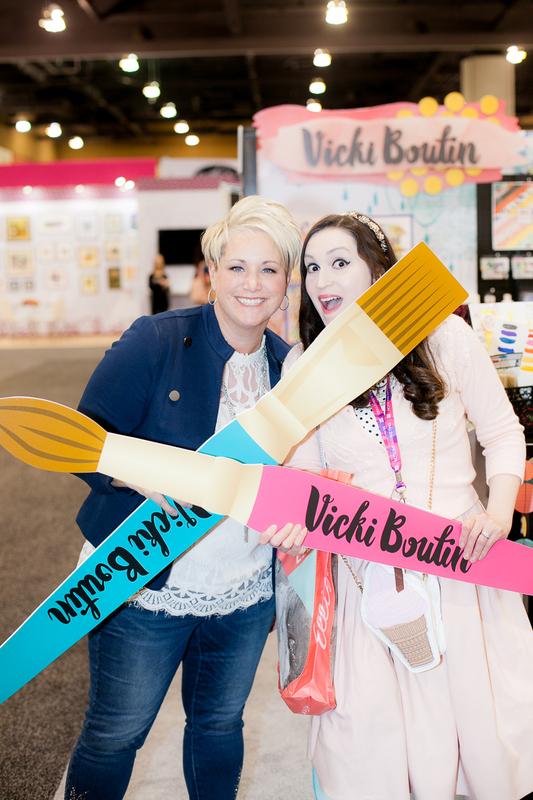 I was now a part of the industry, and it was not only a wish by a hobbyist anymore, but a necessity as someone in the industry. When my health started to go so wrong towards the end of 2017, I started to feel my dream slipping away again. My husband and I had planned on going, on registering as members; we downloaded member registration paperwork, started looking at hotels, etc. But my health just kept getting worse and worse. So at the end of December, with the show only a month away, we gave up. "Maybe next year," I said...as I had often said to myself...with more sting in it this time, because it meant so much more, as an actual member of the papercrafting industry, to go, to feel like I was part of this creative world, like so many of the people in this business that I look up to. But in January, with the show only a day or two away from starting, I noticed I was doing better. Surely, though, it was probably a fluke. Just a good couple of days...probably wouldn't last. The show started and I thought, "it's too late now, and I never registered, anyway.” The day before the last day of the show, I was still feeling ok, having a good day, and I suddenly thought, "why not at least try?" With my health, the constant pain from my CRPS condition, you learn that you have to try to do as much as you can, when you can. You have to seize the opportunities, the moments, because they are brief and all too fleeting. I called CHA to ask if we could just show up, register for membership, and get in at the door. They said yes! Ryan, my husband, told me that Phoenix, where the convention was, was only a few hours away by car. I was shocked, I thought it would be much farther. But these two things felt like a sign. We checked for an inexpensive hotel nearby and there was one. We had nowhere to put our dog, Leeloo, but the hotel just happened to allow pets. Another sign. I looked at Ryan and asked if he thought we should go...was it a dumb idea?...only going for one day...the last day...and given how bad I had been doing for the last few months...was a last minute adventure like this really wise? Ryan, is by far, the best person I know, my prince charming...he smiled and said "yes" and started packing us up. And so I went. I went to CHA's Creativation! We could only go for 5 hours. 5 hours on the last day. My walking isn't great, but I walked around that Wonderland as much as I possibly could, Ryan helping me along. I met so many amazing people who are so inspiring to me! 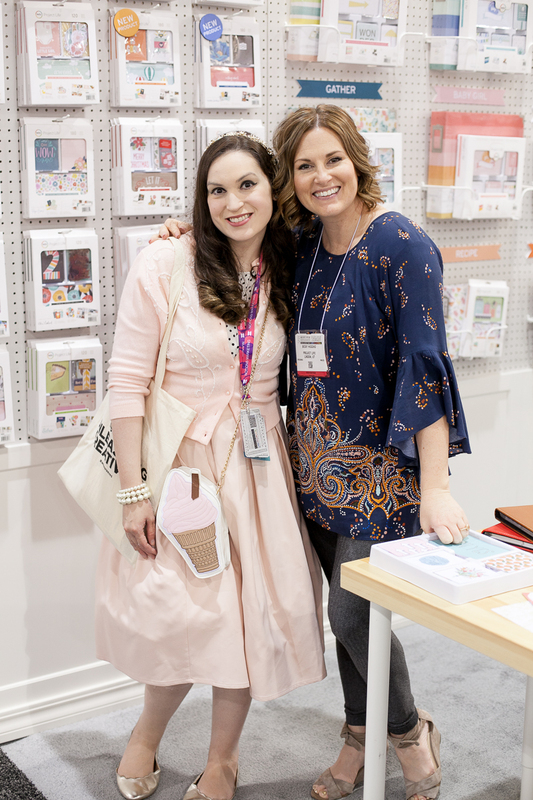 I met Maggie Holmes and Heidi Swapp and Shimelle Laine and Amy Tan, and Becky Higgins and Tim Holtz and Vicky Boutin...and so many more incredible, lovely people... The whole thing was incredible! I dressed up all in pink and I really felt like a princess for the day, transformed from a pumpkin in pj's for so many months...stuck in bed, stuck in pain...but on this one day, I felt like I was accomplishing a dream and that I was writing my own "happily ever after." I had set so many goals for my life, in this industry. And on this one day, I was Cinderella at the ball...taking an important step towards making all my dreams come true! 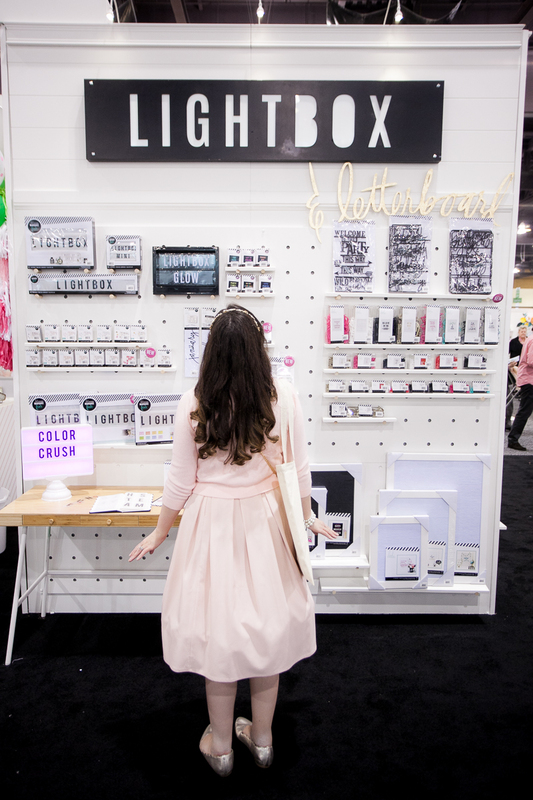 There were so many amazing new things to see and do, kind and lovely and helpful and talented people to meet, so many pretty booths and new products. And all the networking, all the important people I met and the things I did to help my new business along on its way...all of it was important! And the wonderland... 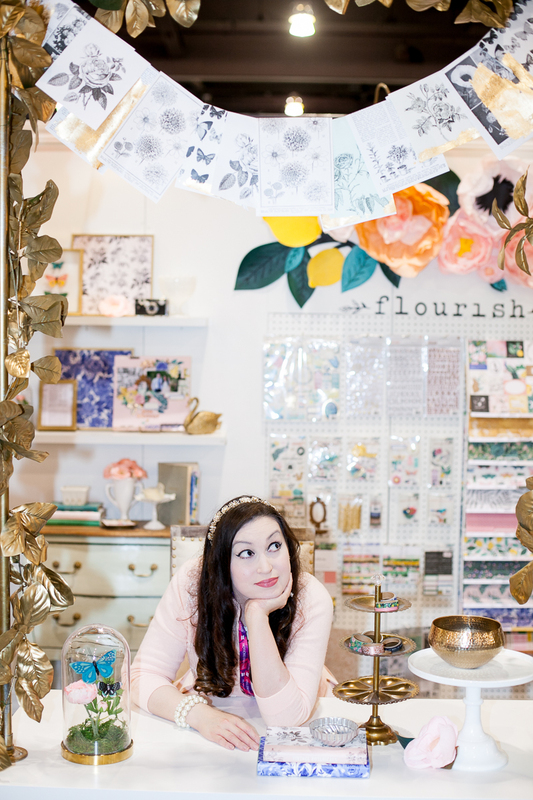 It truly was that...so beautiful...a papercrafter's dream...a fairy land of pretty things to create with! But the thing that I will remember most, the thing that I will hold onto most as being the most special and the most important and the most beautiful from my trip, is from the car ride with Ryan on the way there. I turned to him and said, "I'm scared...what if nobody likes me and nobody likes my stuff, and I just make a big fool out of myself?" "No," Ryan said. "You won't. I'm sure they will like you." And I turned to him and asked him, "Why, why did you agree to do this with me? I mean, thank you, I appreciate it, you coming on this adventure with me last minute like this...but why did you, I didn't think you would." And he said, "Of course I would, I Believe In You!" I started to cry, and I knew in that moment that everything would be ok...and that fairytales do come true, but not just because we believe they will, but because others believe in us! Thank you so much to all my supporters, all of you out there who have encouraged me and helped me on this journey, all of you who subscribe to the kits and have taken classes by me, all who have followed me and loved my work and my product and cheered me on....and stuck by me through all this horribleness with my health! I appreciate it more than I can say! Please enjoy these videos of me at CHA's creativation 2018! 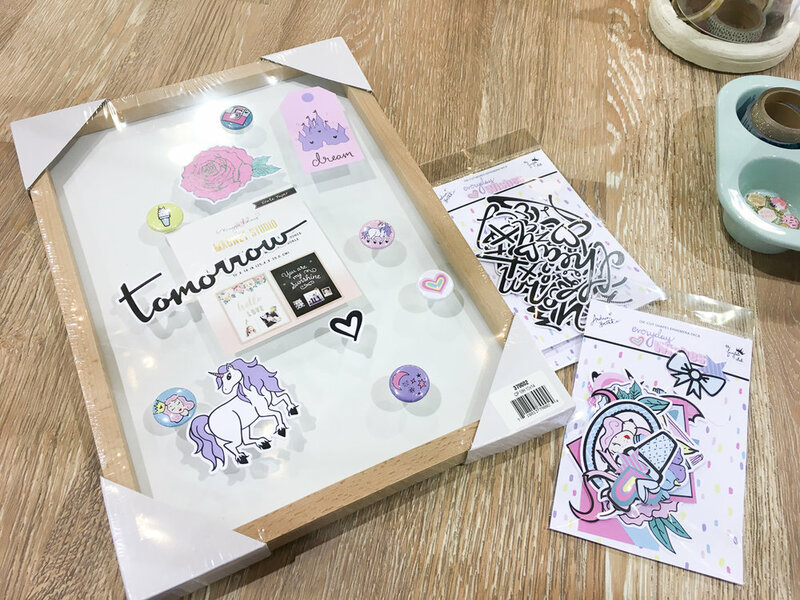 I basically just walk around being utterly enthralled by everything and showing some of the new things that I super loved and showing how so many of the new products and things would work great with our kits, especially "Everyday Wishes"...oh, and also showing some of the goodies I got there! I hope you like the videos, and stay tuned because I plan on doing at least one more post about CHA....so stay tuned for that! Hugs everyone! And remember to "live your life as a fairytale"!